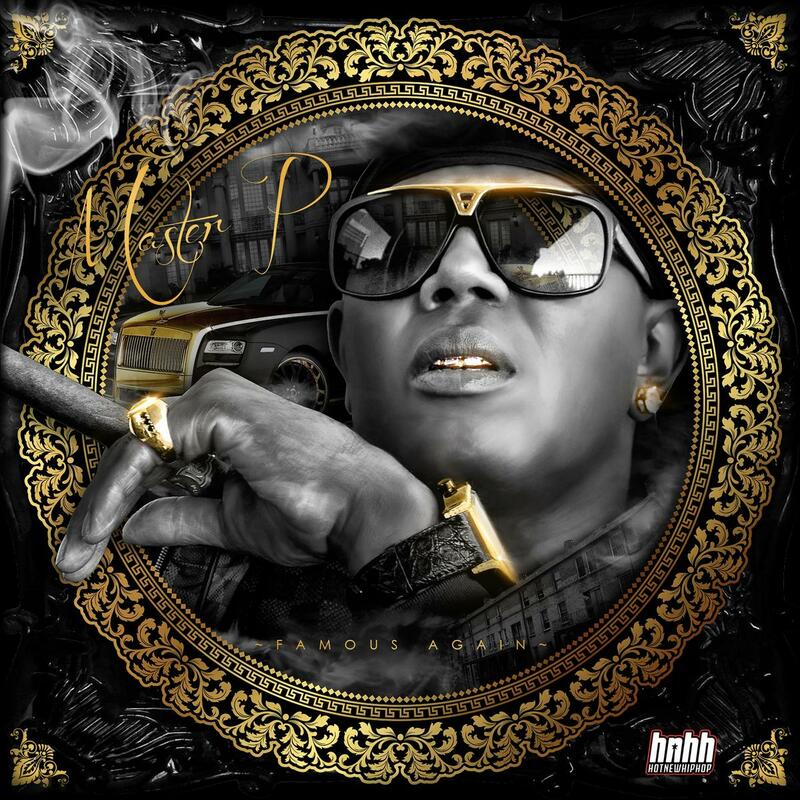 Master P is set to release his new mixtape "Famous Again" online on Tuesday August 6th. Featuring The Game, Alley Boy, Fat Trel, Problem, Wiz Khalifa, Chris Brown, Tyga, Nipsey Hussle, Chief Keef, Dee-1, Young Louie, Rome, The No Limit Family & More. Cop Famous Again, the latest mixtape from Master P, which dropped on Tuesday, August 6th, 2013. Master P's odds keep getting better with each new leak, and Famous Again will undoubtedly improve his chances of winning. 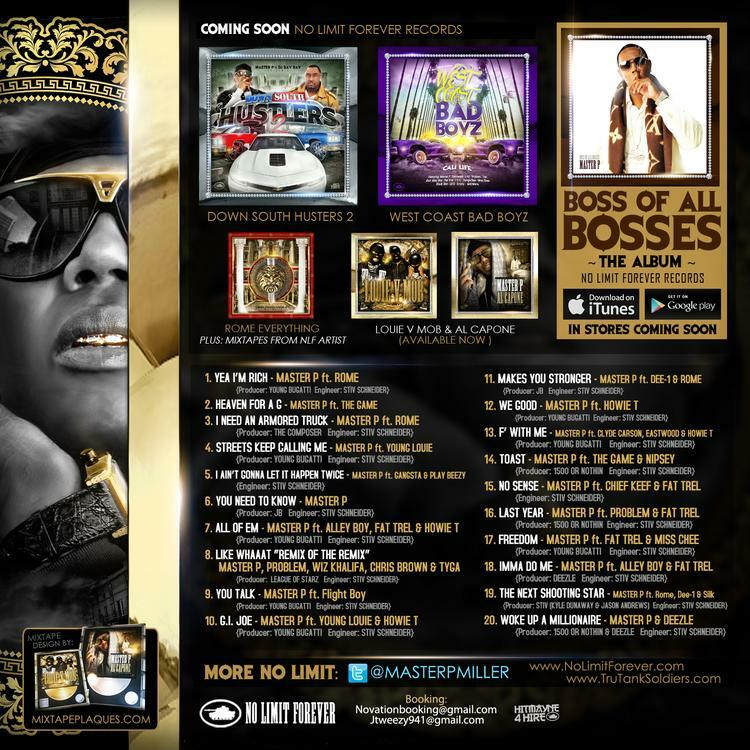 It's a worthy addition to a respectable catalogue that has seen a lot of growth since Master P debuted in this game. We're looking forward to the follow-up. The following artists contributed to the project: Rome, The Game, Young Louie, Gangsta Play Beezy, Alley Boy, Fat Trel, Howie T, Problem, Wiz Khalifa, Chris Brown, Tyga, Flight Boy, Dee 1, Rome Silkk, Clyde Carson, Eastwood, Nipsey Hussle, Chief Keef, Problem& Fat Trel, Miss Chee, Deezle. The following producers soundtracked the project: Young Bugatti, The Composer, JB, 1500 Or Nothin, Deezle, Stiv Schneider. Have you heard Master P's Heaven For A Gangsta, featuring The Game? If you dig this, visit Master P's profile for the latest info, news, songs, and mixtapes. Check out Master P's Twitter.